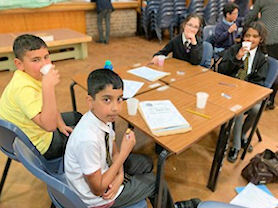 Year 5 proudly represented their school in a Math’s Tournament at King Edward’s Camp Hill for Boys on Wednesday 27th March. 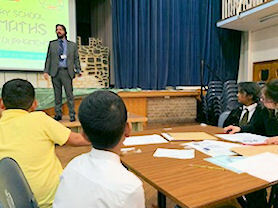 The team had the challenge of working through a range of questions, which prompted much discussion and debate in order to arrive at a solution. This was followed by a speed round: a test of time and skill. 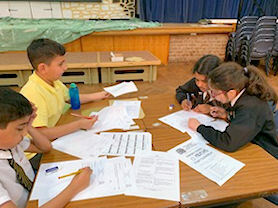 The children really had their work cut out during the crossword task-thank goodness, Mrs King had the answers! Working as a team and being resilient were major themes of the session; the children clearly demonstrated these. 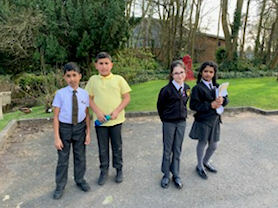 We were delighted with our achievements and thoroughly enjoyed being part of the tournament, which was kindly hosted by King Edwards Boy School.